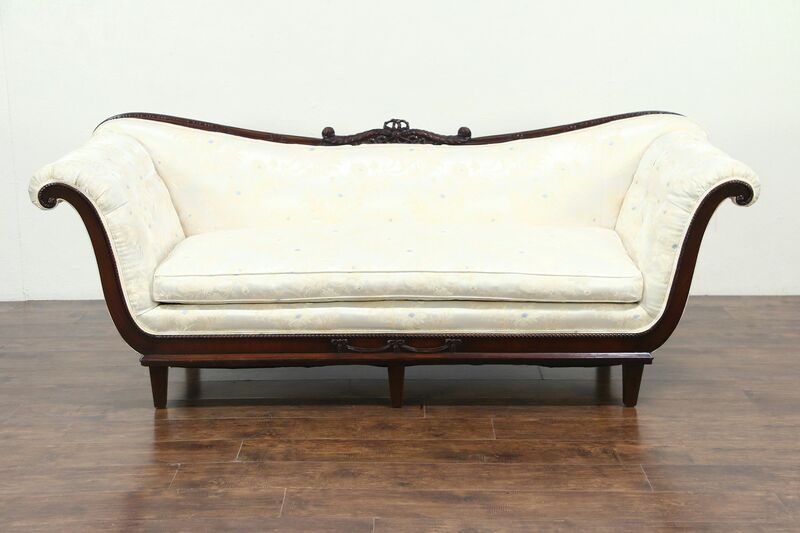 A Regency style sofa was carved of solid mahogany with an exquisite crest about 1950. The finish is in excellent condition on the tight and strong frame. Tufted upholstery is not worn, but there are some minor spots, see photos. American made vintage furniture, the cushion is zippered. Springs are soft but supportive. Dimensions are 7' 2" wide, 33" deep, 34" tall and the seat is 18" high.